Enrique Espinoza Injured in Houston Apartment Shooting. Security Failure? An altercation at the Vista apartment complex in Houston reportedly escalated into gunfire Saturday night, January 20, 2018, leaving 28-year-old Enrique Espinoza hospitalized. 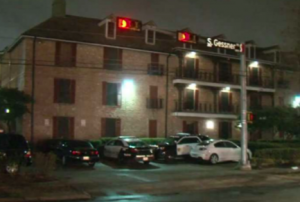 According to CW39, the shooting occurred “around 9:30 p.m. at Vista Apartments in the 6000 block of S. Gessner Road.” The Houston Chronicle reports, an “argument started…in the second-floor walkway” between the suspect and Mr. Espinoza. The gunman opened fire, striking Mr. Espinoza multiple times in the legs and hip. Mr. Espinoza was transported to the hospital with injuries. His current condition has not been released. Generally, property owners are required to protect all those legally on the premises from any foreseeable harm. Should the facts of this matter reveal that the apartment complex owner or managment failed to provide adequate security to protect those on its premises, Enrique Espinoza may seek justice and elect to pursue legal claims for his injuries.